Elevators and escalators are as commonly used as stairs, and many people use either an elevator or escalator nearly every single day at work, at a shopping mall, at a train station or airport, or even at a sporting event or concert. With the advent of newer laws that protect the rights of people with physical disabilities that make climbing stairs difficult or impossible, business owners have worked to ensure that their buildings are compliant with the laws and accessible to all of their customers. 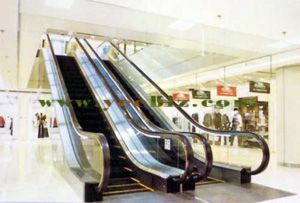 Therefore, the use of escalators and elevators has increased dramatically in the past few decades. However, the risk of accidents also has increased, as our San Diego elevator accident lawyers understand. The State of California requires that elevators be inspected for safety in certain circumstances, including when they are first installed and after any modifications have been made. Inspections must be done by someone who has been licensed by the State to conduct elevator safety inspections, and certain requirements must be met before the elevator can be opened up for public use. Additionally, California regulations mandate that escalators meet certain standards before being utilized by the public. However, even with these safety requirements, elevator and escalator injuries can and do still happen. Elevator injuries can occur in a variety of ways, including sudden starts or stops that cause the rider to be jolted or fall, doors closing on passengers, or cable snaps that cause the car to fall. An elevator accident attorney can help San Diego victims investigate the specific cause of their accident. Escalator injuries usually happen either when a rider gets a piece of clothing or a shoelace stuck in the escalator, when an escalator comes to a sudden halt, or when an escalator unexpectedly reverses direction. When these injuries occur, they can range from very minor harm, such as a sprain or bruising, to very serious harm, such as broken bones, spinal cord damage, paralysis, or even death. An elevator accident lawyer in San Diego can identify the party responsible for maintaining the elevator or escalator and ensure that the responsible party compensates those harmed by negligence or malfunction. Often, that party is the owner of the building, but that is not always the case. Therefore, having an attorney who knows how to track down the person or company who is obligated to maintain the elevator or escalator in question can prove invaluable. In California, the statute of limitations for claims for injuries resulting from elevator or escalator malfunctions is two years, and the statute of limitations begins running on the date that the injury occurs. (Cal. Code of Civ. Proc. §335.1) In other words, if the claim has not been settled, or if a lawsuit has not yet been filed, within two years from the date of the harm, the injured party will be unable to pursue money damages for their injuries, no matter how severe. In addition to the statute of limitations that applies to all claims, cases against a public entity, such as a city, a school district, or the state have specific requirements that must be fulfilled before filing a lawsuit. Usually, a claim must be filed with the governmental entity itself before suit is filed, and this claim must be filed within six months of the date of injury. Therefore, in any cases where any type of governmental association or entity may be a defendant, it is important to consult with a San Diego elevator accident attorney within that six-month period.